Combine ingredients in a glass and shake with ice. Strain into an ice filled rocks glass, top with 2 oz Dr. Pepper. Briefly stir to combine. I planned on doing a pretty straightforward post this week. Then I woke up yesterday and heard that Phife Dawg of A Tribe Called Quest passed away. As someone who spent their formative years growing up in North Jersey in the mid 90s, it hit me pretty hard. After spending most of Wednesday listening to basically the first half of Tribe’s catalog, I decided to shift gears and make a drink to honor the man born Malik Taylor. Phife played the more raw, unpredictable foil to Q-tip’s smooth, intellectual style. Don’t get me wrong, Tip is an amazing MC. Plus he is criminally slept on as a producer, being responsible for Tribe’s whole jazz-meets-boom-bap sound. However, in every song, I couldn’t wait for Phife to get on the mic. His delivery was aggressive wihout being in your face, and oozed confidence. Wordplay abounded in his rhymes, and they were littered with cultural touchstones from movies to TV to sports. Sure, some rappers may have dropped a Honeymooners reference, but how many of them called out the stars by name, using their physiques to illustrate how his rhymes are better than everyone else’s. 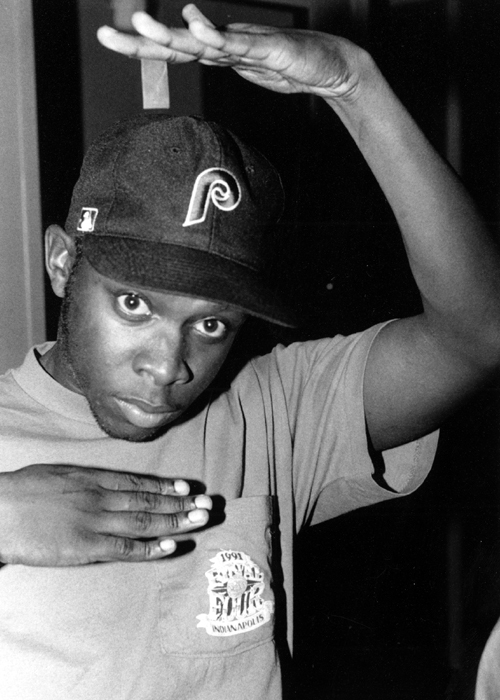 Outside of rapping, sports were clearly Phife’s greatest passion. Just like with the Honeymooners, he filters his skills on the mic through the athletes he mentions. This trait is by no means unique to Phife, but again he put his own spin on it. Sprinkling in a hockey reference among the more typical baseball and basketball mentions, or using a much maligned QB to illustrate other rappers’ ineffectiveness. Phife never let you forget how good a rapper he was, nor we would he miss an opportunity to describe how everyone else comes up short. All of this bravado was done in such a vivid style you couldn’t help but agree. He implored you to write a correspondence about his greatness. Crappy MCs became his breakfast. This was all balanced with a humorous tinge of self deprecation deployed with great effect. He was not afraid to address everything from his height to his lifelong battle with diabetes. It’s these last two things that inspired not only the name of the Funky Diabetic (aka Five Foot Assasin), but also the ingredients. Originally I thought of naming this simply the Funky Diabetic, but then I thought about one of the best album-opening verses in hip hop history. On “Buggin’ Out“, the first track off The Low End Theory, Phife comes out the gates already in fifth gear with “Yo! Microphone check one, two what is this?/The five foot assassin with the rough neck business.” How am I not going to include that in the name, especially when Phife was a man of many aliases. Towards the end of the verse he says “Never half step cuz I’m not a half stepper/Drink a lot of soda so they call me Dr. Pepper“. Looks like I a got my first ingredient. Jamaican rum would have been perfect for the base, not only for its subtle funkiness, but it could have been a nod to the fact that Tribe hailed from Jamaica, Queens. Alas, all I had in my bar was Plantation, a dark rum from Trinidad. Then I read that Phife’s family is originally from Trinidad, and I began to think this was meant to be. A little Maraschino Liqueur tagged along with the cherry flavors in the Dr. Pepper while adding its own brand of funk. Finally there is the OJ. This comes from Tribe’s fourth album, Beats, Rhymes and Life. “Phony Rappers” is all about random dudes thinking they are real MCs trying to step to Tip and Phife while they’re out in the city. Phife simultaneously describes how he is always ready to rap and shuts his opponent down with the brilliant line “[he] Talkin bout I need a Phillie before I get loose/Money please, I get loose off of orange juice”. Maybe the D.A.R.E program should have co-opted that for their assemblies. The drink worked surprisingly well. I was a little nervous about the OJ and Dr. Pepper combo, but the acid from the citrus balanced out all the sweetness already in the glass. A few dashes of Angostura bitters really pulled out all the cinnamon flavors in both the rum and soda. I could definitely see myself mixing this one up again once the weather warms up. So let’s raise a glass to Phife Dawg. I’m sure he’s avoiding the narrow path up there in the sky. Hopefully you’ve listened to all the songs I linked to (if not, get on it!). I’ll leave you with my favorite Tribe song, “Electric Relaxation”, which also happens to have my favorite Phife verse. While he kills it the whole song, it’s a verse in the middle where he exhibits his singular skill of brilliant ejaculatory imagery and wordplay (See Scenario for another fine example). The last part (or punchline, if you will) of that line is the type of hyper local reference that makes lyrics stand out, and elevated Phife Dawg to one of my favorite MCs to ever pick up the mic.